In a medical laboratory, the risk of contamination in cell cultures is incalculable – no matter how meticulously work is carried out. It certainly isn’t unheard of for risks to be miscalculated, and contamination often results in the loss of cultures. So, in this blog, we’d like to shed some light on how contamination in cell lines can be systematically detected and avoided. Microbiological contamination in cell cultures – including those that are purchased from third parties – are not unusual in laboratories. Quite the opposite, in fact: Many of the cell lines cultivated in laboratories are infected with mycoplasma. Minute fungal spores lurk everywhere and can spread via the air. And of course there's the human margin for error when working in sterile environments. Mistakes can easily be made. 1. How “clean” is the original culture? The problems often start with the original material. Even if every possible effort is made in the production of culture media, some materials cannot be made completely sterile. So there is always a risk of mycoplasma slipping through sterile filters. And prions can even survive steam sterilization at 121 °C. 2. Are working laboratories truly sterile environments? One of the major causes of contamination in laboratories is the human body. 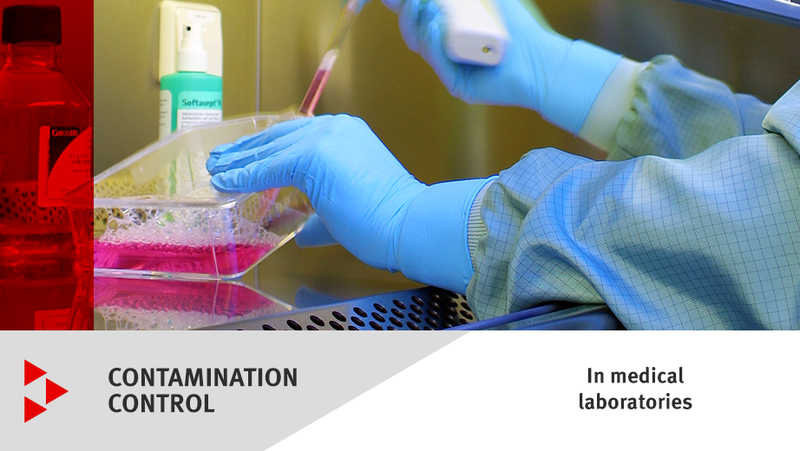 For example, many instances of cross-contamination could be avoided if lab technicians avoided working on several lines at the same time on sterile workbenches. If liquids aren't handled correctly, it takes no time at all for one culture to become infected with another. Besides, rushing is the worst enemy of sterile working. The door of a CO2 incubator should never be opened without good reason and certainly shouldn’t be left open for long periods of time. However much time pressure they may be under, lab technicians should only ever work on one cell line at a time. When single-use pipettes are unpacked underneath the workbench, lids must be set aside once unscrewed – keyword: Good laboratory practice (GLP). For more information, read our blog post: “Five exciting applications for CO2 incubators”. 3. Are you using the right lab equipment? What investigative methods can be adopted to trace which infections? The most treacherous thing about mycoplasma infections is that they often go undetected for long periods of time. In principle, instances of contamination can be kept under control and tracked with a variety of methods, some of which are very complex but others less so. An experienced lab technician can tell if cross-contamination has occurred simply by looking through a microscope. If we extract all of the DNA from a cell culture, the PCR method can be used to detect its mycoplasma DNA content. Laboratories that perform viral transduction or bioassays should also check for viral contamination. Laboratories that make drugs for new types of therapy should check for bacteria, spores, fungi, mycoplasma, HIV, HCV, and BSE low risk. How should contamination be handled? Every instance of contamination must be recorded and graded. If nothing else, medical laboratories that sweep contamination problems under the carpet are putting their good reputations at risk. Being able to consistently detect, verify, and deal with contamination is absolutely essential in particular in medical laboratories that are working with highly sensitive stem cells and without antibiotics. Transparent monitoring is vital. Covering contamination up or allowing it to spread only increases the danger, and unnecessarily so. An incubator should always be the safest component throughout a process step; if samples are contaminated, then in most cases this occurs upstream or downstream of cultivation in the incubator. The aim of cell culture is to achieve and maintain good cell growth and, depending on the task, to attain appropriate cell differentiation. This involves taking numerous parameters and requirements into account and technically implementing them. 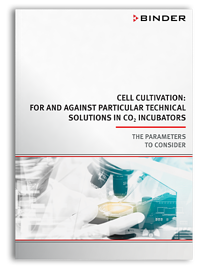 The CO2 incubator or CO2/O2 incubator is a key element in cell culture. Various technical solutions are used to achieve the right temperature, humidity, CO2 and/or O2 concentration, and interior design. This white paper compares various commercially available solutions for the four parameters and interior design.